On this page you can see the different types of lists you can make in UMS Merge Lettes. Click the images to see an example. 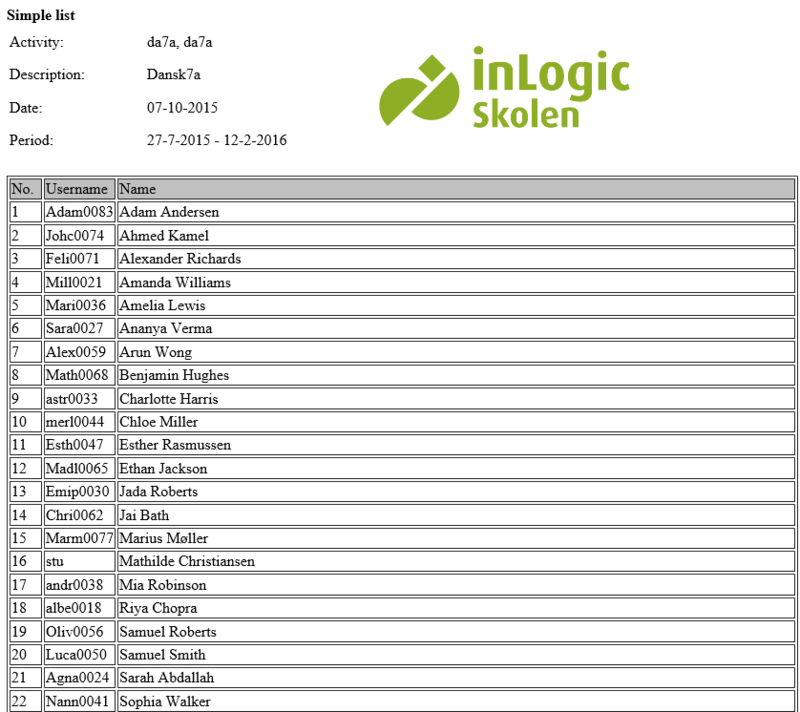 The simple list template is useful, when you need to print a list with names and user names of the enrolled students. 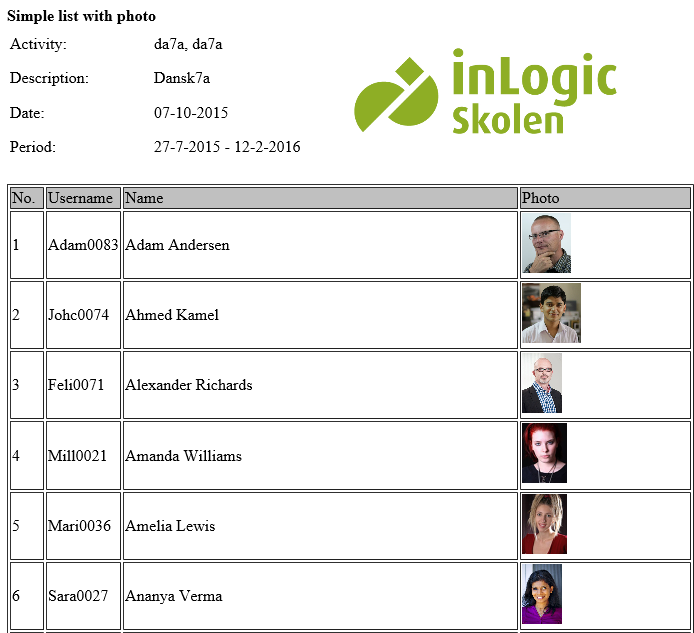 Simple list with photo is useful, when you need to print a list with user names, names and photos of all enrolled students. When drawing up lists with images, you need to be aware that it is the path to the image – not the image itself -, which is inserted. Because of this, you can adapt the image size manually in the configurator, e.g. by using this code: “ “. We recommend that you use either height or width – not both – as this will ensure that the aspect ratio of the image remains unchanged. 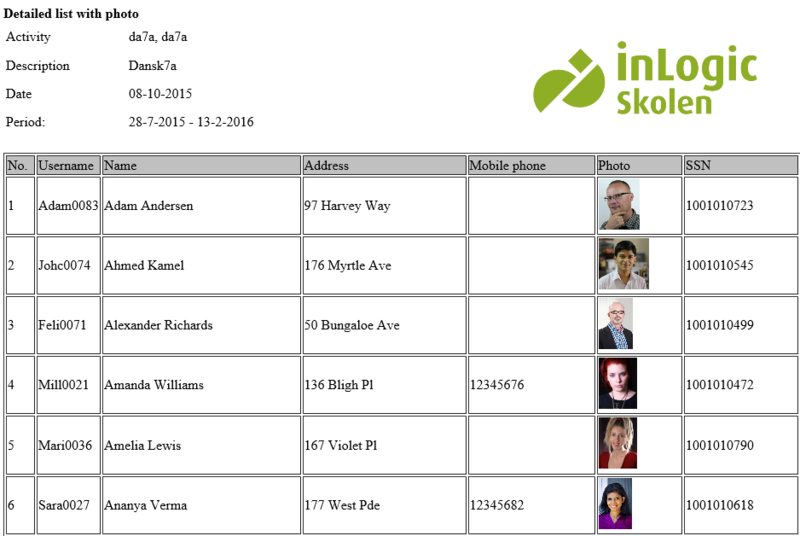 The contact list template is useful, when you need to print a list with user names, names, addresses and phone numbers for the enrolled students. 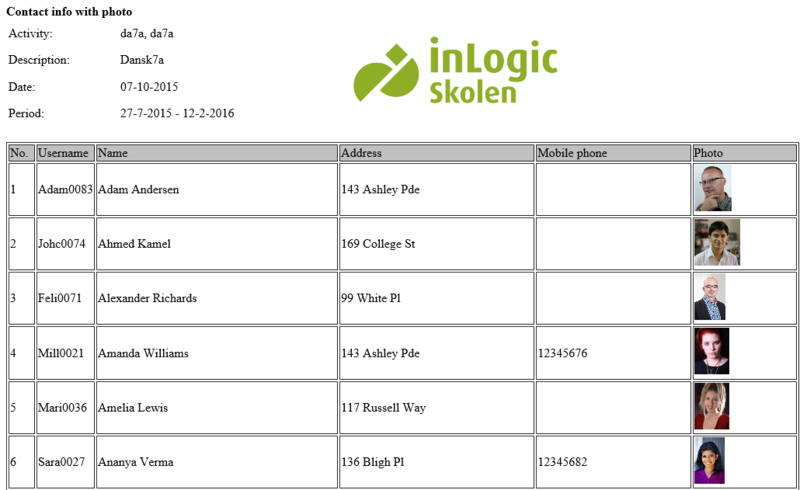 Contact list with photo is useful, when you need to print a list with user names, names, addresses, phone numbers and images for the enrolled students. Detailed list is useful, when you need to print a list with user names, names, addresses, phone number and social security numbers of the enrolled students. 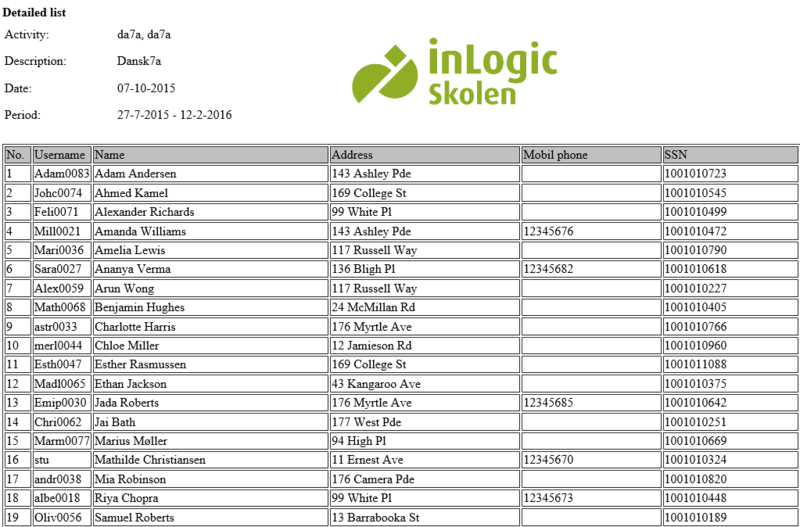 Detailed list with photo is useful, when you need to print a list with user names, names, addresses, phone number, images and social security numbers of the enrolled students.